Schools across the nation are now finding it imperative to rethink the “book” in bookstore as they are facing stiff competition from online retailers like Amazon, Chegg and eCampus.com. The eCampus.com Virtual Bookstore has announced their partnership with Miami University. The online bookstore provider will serve as Miami’s exclusive textbook partner beginning Summer 2017. 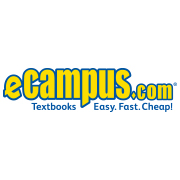 The university chose eCampus.com to keep pace with how students are purchasing textbooks and course materials today. The virtual bookstore will offer students greater convenience and savings. Miami University, founded in 1809, is a public research university with a current enrollment of over 24,500 undergraduate and graduate students. The main campus is located in Oxford, Ohio with regional locations in Hamilton, Middletown and West Chester, Ohio and the European Learning Center in Luxembourg. April 4, 2017, marked the grand opening of the online storefront, known as the Online Textbook Source. Students can now order textbooks for Summer and Fall 2017 courses in addition to selling textbooks online prior to the on-campus buyback event in May 2017. Students have multiple purchasing options to choose from including new and used textbooks, textbook rental, digital versions, and marketplace items from trusted third-party vendors. Easy access to ordering through Miami’s intranet, myMiami, and the Miami bookstore website. Miami University faculty and administrators will also benefit from this new alliance with the eCampus.com Virtual Bookstore. As part of the agreement, faculty will have access to the Faculty Administration Support Tool (FAST). Through FAST, faculty are able to enter adoptions and course materials, load course documents for students to download instantly, request desk copies, and more. Since 2002, the eCampus.com Virtual Bookstore Division has enabled colleges, universities, and K-12 schools to streamline their textbook fulfillment processes and turn them into profit centers while allowing students to obtain all of their course materials through an online virtual bookstore. The company has perfected their Virtual Bookstore model, which is powered by proprietary software that is unrivaled in the online textbook industry. The eCampus.com Virtual Bookstore Program currently serves as the official bookstore for over 250 institutions nationwide, with growth experienced each year.